The festival area is located nearby the center of Helsinki, easily accessible by public transportation, bike or foot. We recommend the use of public transportation or bicycling when coming to the festival. There isn’t a parking for cars at the festival area or its immediate surroundings. Street address: Parrukatu 2, 00540 Helsinki. In addition, there will be additional services from Herttoniemi on feeder route 84 to Laajasalo after midnight: 0.06am, 0.26am, 0.46am, 1.06am, 1.26am and 1.46am. Besides the extended metro schedule, regular night buses will drive approximately every 5 minutes from Sörnäinen. For more detailed information about public transportation, please visit The Helsinki city journey planner (Reittiopas) by HSL. Traveling tickets can also be purchased from ticket vending machines, parking ticket machines and R-Kioski kiosks (day tickets). Bus drivers only accept cash and they do not have to accept notes larger than 20 EUR. HSL’s tickets, Journey Planner and transport information tailored specifically for you — all in one app! The HSL app is available for Android and Apple iOS devices free of charge. Download here. Check all the ticket selling points, ticket machines and service point locations here. You can order a taxi by calling +358 100 0700. Taxis in Finland are reliable and always run by meter. A temporary taxi stand is located opposite the wristband exchange point, across the Sörnäisten Rantatie street. Please note that it is not possible to order taxis elsewhere in the Suvilahti area as all taxis leave from the temporary taxi stand. When using taxi applications (e.g. Uber) or ordering alternative taxis, please note that cars won’t be able to stop at Sörnäisten Rantatie or immediate surroundings of the festival. Biking is one of the most convenient ways to arrive to the festival. There is a bicycle parking area free of charge, and it’s located near the wristband exchange point, between the festival main entrance and Merihaka district. Flow’s bicycle parking is one of the largest seen in Finland. The parking area is constructed by Mall of Tripla, a bicycle-friendly mall in Pasila opening in 2019. 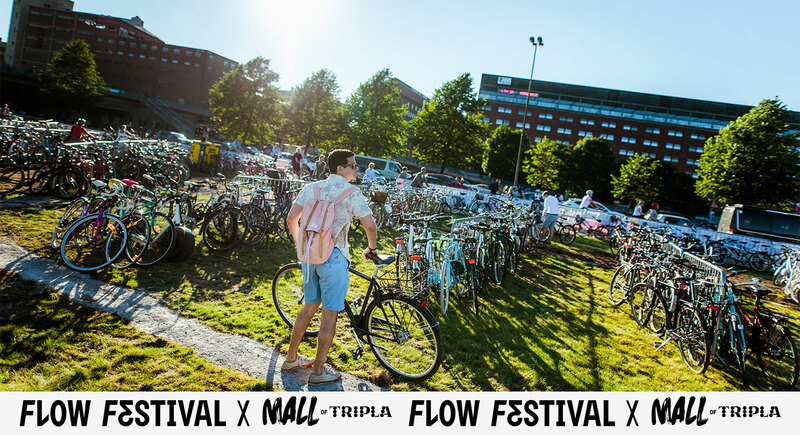 Please note that the bicycle parking area is not guarded and Flow Festival is not responsible for parked bicycles.